Bullying is compromised of three key components—unwanted, aggressive behavior; a real or perceived power imbalance, and repetition; and the potential to be repeated over time (stopbullying.gov). The combination of these three factors creates a situation that moves beyond conflict to become persistent persecution. Many schools have programs especially designed to raise awareness on bullying, prevention and tools to help parents and teachers in dealing with bullying. Check with your local school district to see what steps are being taken to prevent bullying. Schools and parents can work effectively in assisting a child who may be experiencing the effects of bullying. Is the situation a normal conflict or is it bullying? What type of behaviors are considered bullying? Bullying behaviors and a victim’s reaction can be mild, moderate or severe; how the bullying behavior impacts each person can vary. When and where does bullying occur? 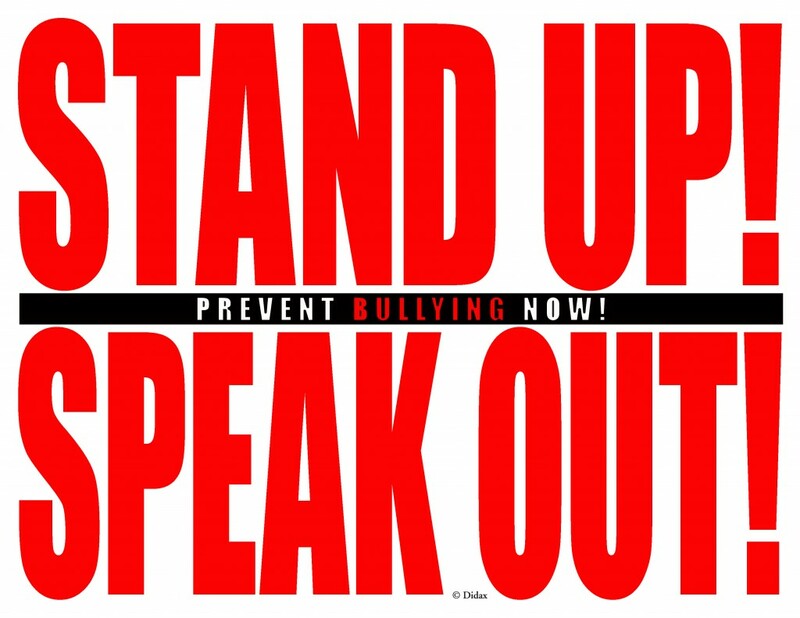 BULLYING CAN HAPPEN ABSOLUTELY ANYWHERE AND AT ANY TIME! It can happen in the work place when a supervisor intimidates an employee by saying something like “All of us are going to vote the same way”. And it can happen on school property, between an adult and a student, between students and even between adults. 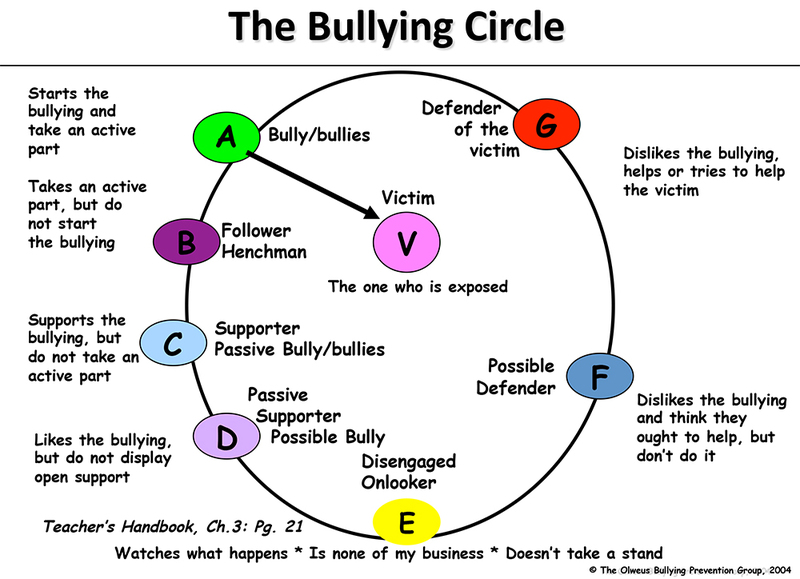 The Bullying Circle is a visual way to better understand the different roles involved in a bullying situation. Please click to see The Bullying Circle.